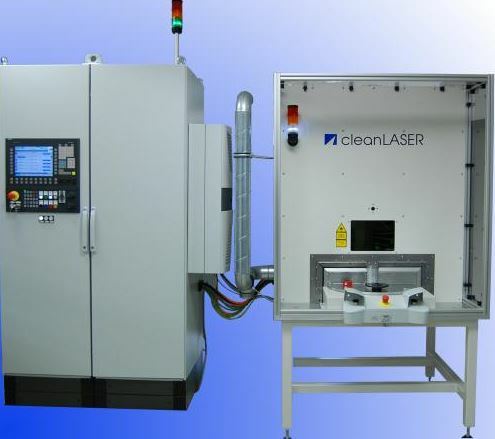 The cleanBOX is a compact system for laser cleaning of rotation-symmetrical workpieces. Cylinder, gears or other rotating parts with a diameter of up to 280 mm can be cleaned without residue without changing the fits or pressing fits. The system can be easily integrated into the line production; it can be equipped manually or automatically. The short switching times of the rotary indexing table permit near-continuous use.